One of the key building blocks of any successful team is effective leadership, in tune with the team’s mission. Team leaders, whether they have the title of captain or not, are essential in getting all members of the team to buy into a shared vision of the team’s competitive identity. Most Ram athletic teams have 2 – 3 captains. Although one captain may be selected by the coaching staff, every team is also required to hold elections to allow the players to choose at least one of its designated leaders. The logic behind this mandate is that, while coaches have a clear vision for what the team can become, the athletes know whom they trust to show them the way to that vision. Every year, we charge our Captains’ Council with the selection of two speakers for Rams Recognition Night. Those speakers are asked to use their own experience as Rams to provide perspective for all our athletes. Just as a team’s election of a captain says something about the attitudes of the team, so does the selection of RRN speakers underline what our student-athletes find valuable in sport. CJ Stueck ’18, who played tennis and basketball, and ran cross country and track, spoke about different aspects of belonging. He recounted anecdotes about the ways that coaches welcomed him onto the team, and deepened his bond with the team over time. He spoke about how he was able to achieve things in the context of the team (pushing himself through the hard miles of a cross-country race, for example) that he never could have done on his own. He recounted his admiration for the ways in which coaches nurtured his resiliency and also pointed to the value of the personal victories that any athlete can achieve with effort. 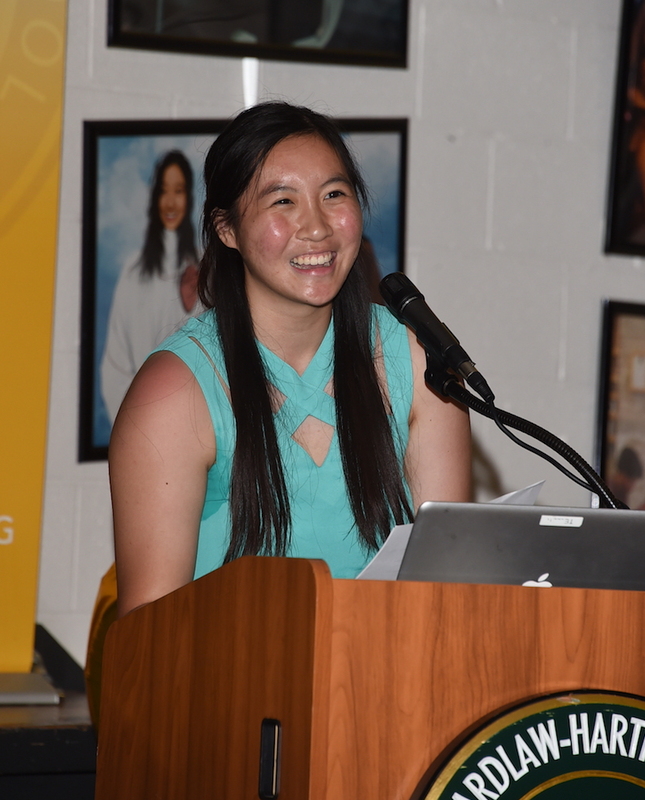 Audrey Vu ’18, a leader on our basketball and volleyball teams, and an enthusiastic contributor to the softball squad, focused on the end of a significant piece of her life, her career as an athlete. She assured the crowd that, like many of them, she hated many things about sports, such as running and the risk of injuries, but that she hated more the realization that a season had ended, and a group of girls with which she had forged bonds of camaraderie would be forever changed. In previous years, she took some solace in knowing that the loss of some of her friends and comrades would be balanced with the infusion of new teammates, new talents, new spirit. As a senior, however, realizing that she is leaving Ram Athletics behind gives Audrey a wistfulness, balanced with an appreciation for all she has accomplished. 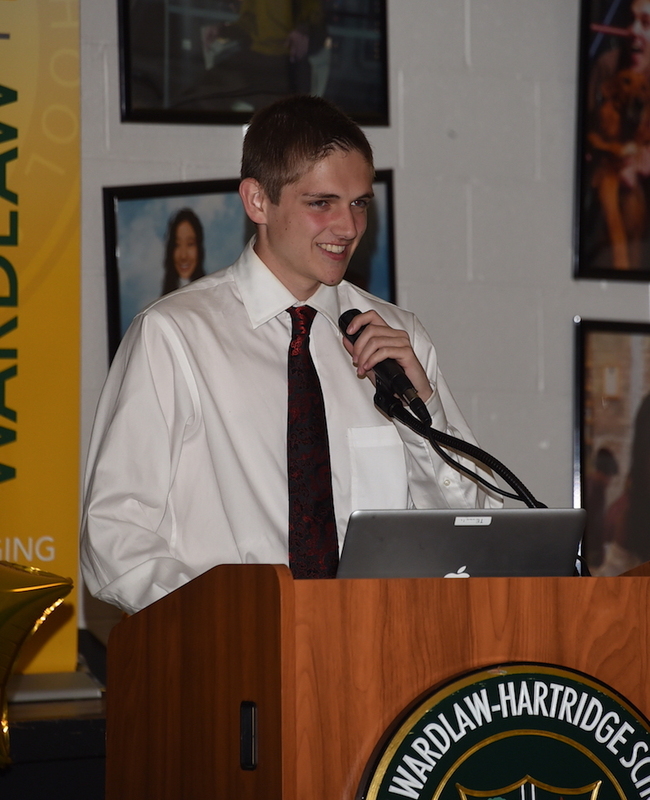 Because our speakers are now young Wardlaw+Hartridge alumni, their talks were thoughtful, deep, and often humorous. It is not possible to capture their entire message in one sound bite. Below, we include links to both C.J and Audrey’s full speeches.